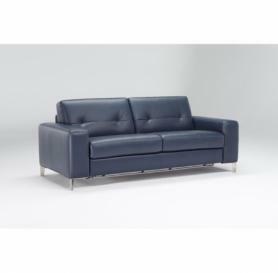 Valerio by Natuzzi Editions; a cool, clean, simple shape and design that never dates; transcending time and fashions. 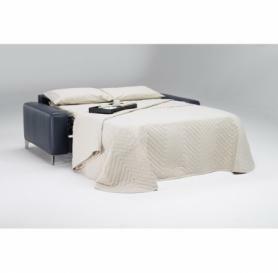 Natuzzi Editions bring a great comfort to this fabulous stylish shape of sofas and an option to create the most fabulous sofa bed that we have ever seen, folding forward in a rolling sequential movement to reveal a complete frame bed and thick foam Mattress that even large users could get a great night sleep on. The Natuzzi Editions Valerio is transformed completely by the choice of colour palette of leather, from lipstick red for striking statement look, to champagne beige for a cool European chic. Click the PDF icon on the right to download the datasheet for the Natuzzi Editions Valerio. 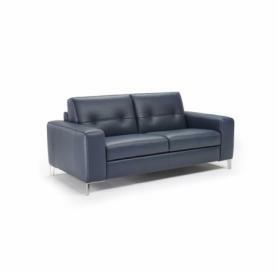 Sofas from the Valerio range can ordered and tailored to your specific requirements. Available in a range of sizes, leathers and fabrics.